This whimsical collection takes inspiration from the beauty of the flora and fauna of our ancient woodlands. Featuring beautiful bees, volumptuous acorns and delicate daisies, these truly magical pieces are made with love to last. Whether you're looking to add a touch of Spring sunshine to your style, want a playful and charming collection to enhance your accessory collection or even jsut love the delicate symbolism that the bee represents, the Wildwood collection is the perfect choice. 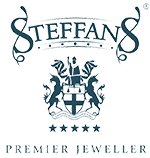 Take a look at some of our best-selling Steff Jewellery products that will help to give your style a unique feel.